Please complete 3-step process below for each item you would like. Once you’ve completed the 3-step process for each of your desired items, click “Submit My Order to Marketing” under the order information. Need help? 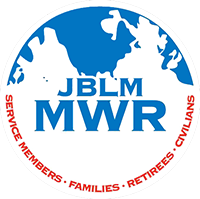 Please call JBLM-MWR Marketing at 253-967-5200. Step 1 - Add Items to Order by selecting them from the drop-down list. Step 2 - Enter Any Applicable Details or Special Instructions. After Step 3, you will have the opportunity to add an attachment, such as a logo or file (max. 20 MB). Step 3 - Add the Item to the Order.